The 44,000 square foot Ossining Public Library boasts a multi-floor glass wall. The glass lets in a lot of natural light into the open library atrium but does little to keep out the cooler temperatures prominent in New York. The library staff also found that the motion censored doors allowed the wind and the cold into the library entrance as well. 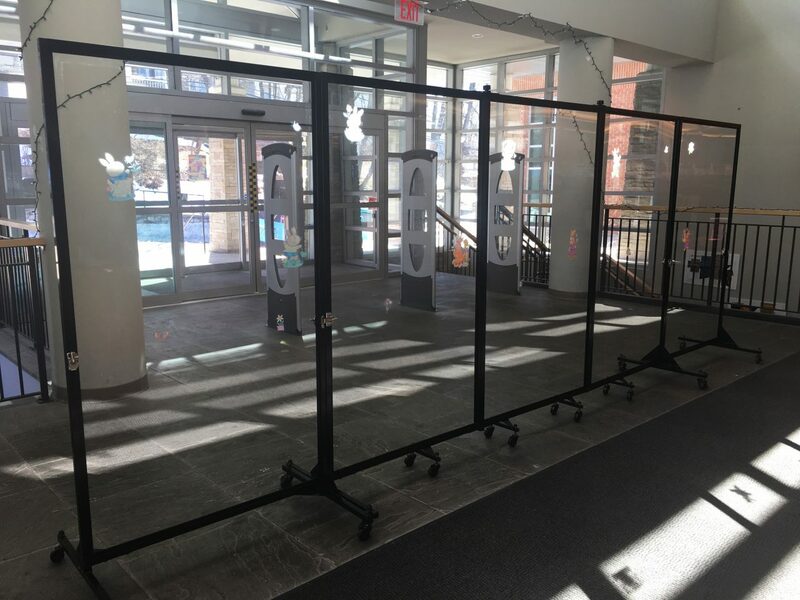 Their search for weather barrier walls to prevent the inclement weather from blowing into the library brought them to Screenflex. To complement the clear walls, our sales team recommended the library staff use clear room dividers to carry out their goal. The library staff has found other great uses for their clear dividers, “It is working very well and today especially cold & windy. It also helps keep our patrons who are waiting for service out of the pathway of people going in and out,” remarks Assistant Director, Ossining Public Library.